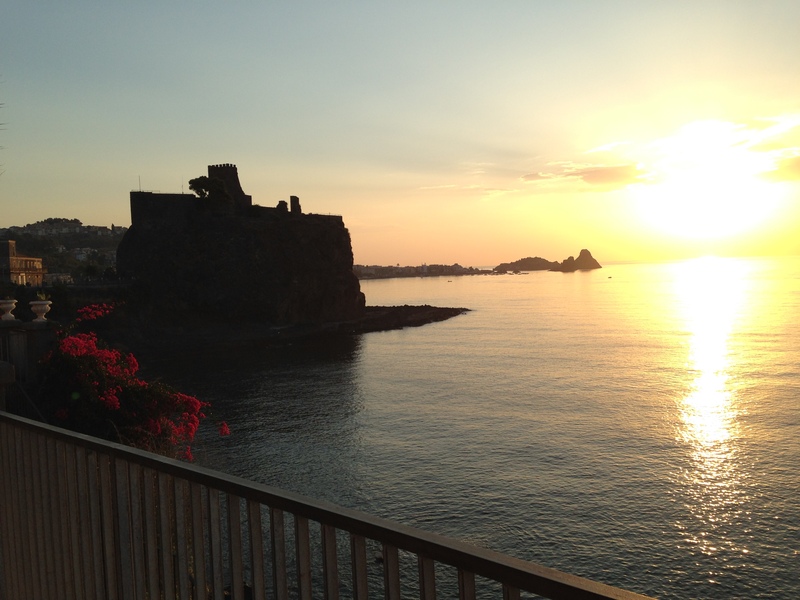 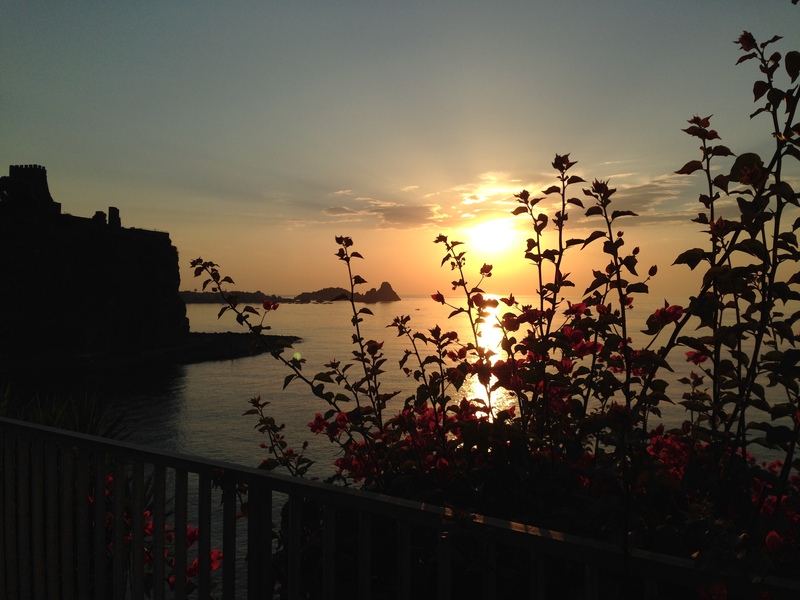 One of my favorite early morning walks is to Acicastello, the town adjacent to Catania, Sicily. 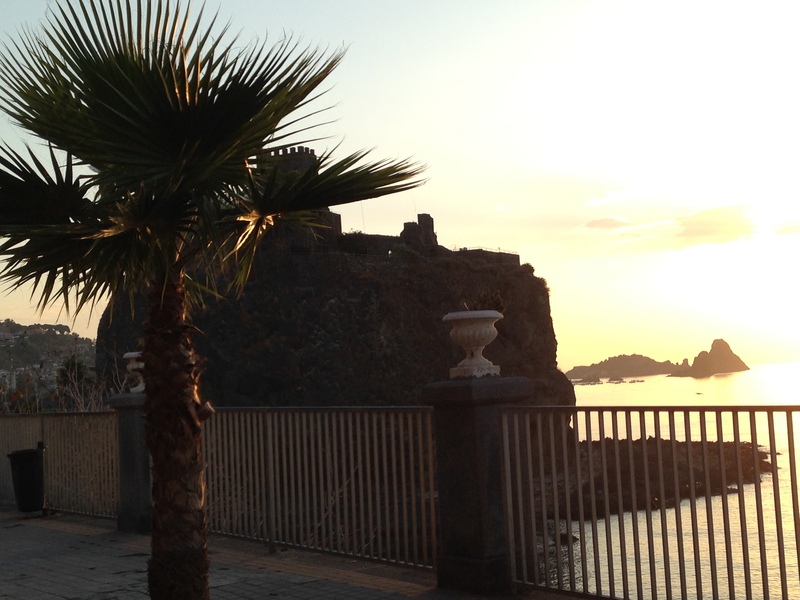 In Acicastello, overlooking the open sea and the Faraglioni further north up the coast, sits a Norman Castle. 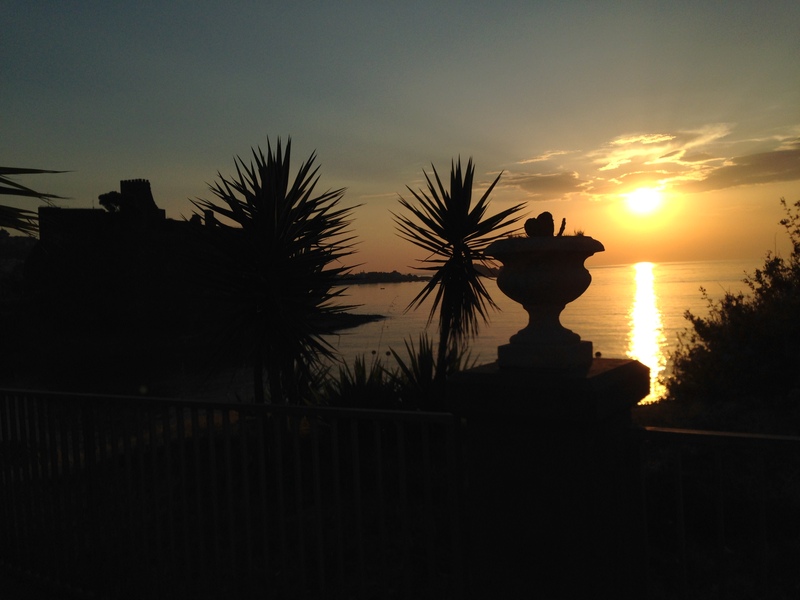 Nowadays the Castle is open to the public for visits and it is also the setting for many weddings and receptions. 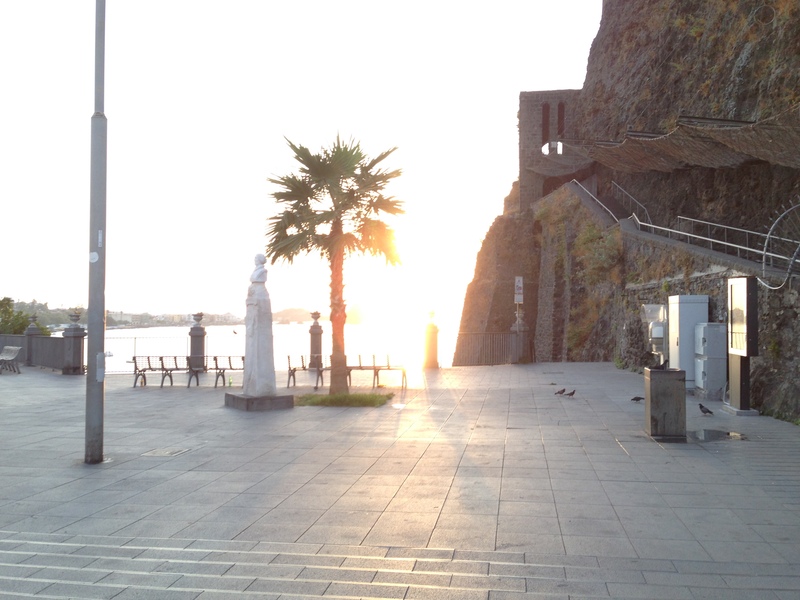 Following pictures were taken this week on my early morning visit to the town. 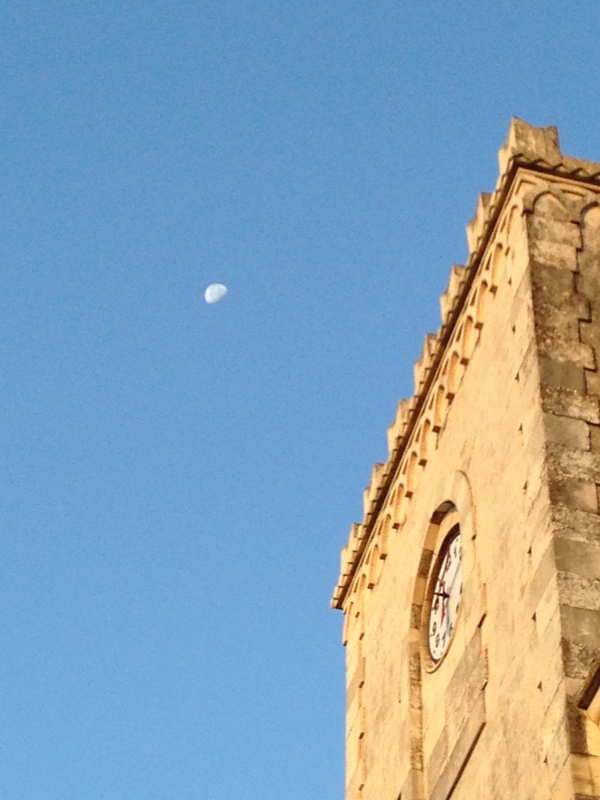 La Bella LUNA still lingering………….above City Hall Clock Tower across from Castle.